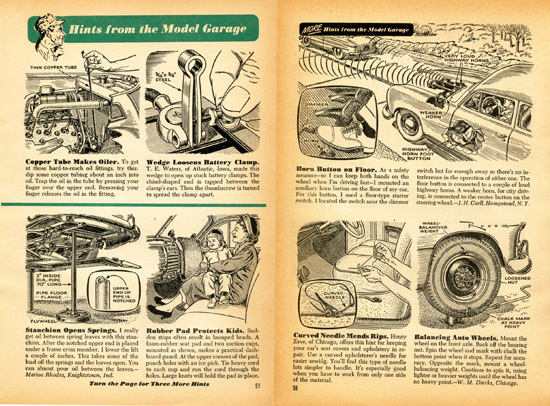 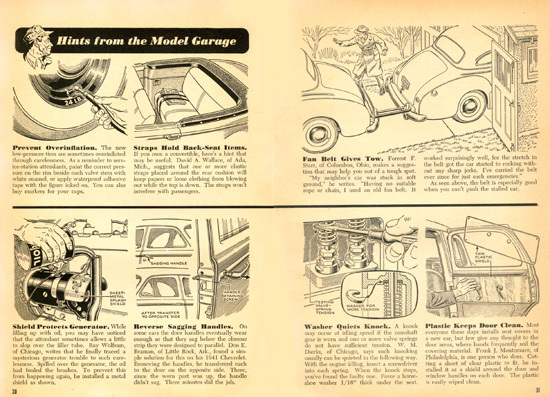 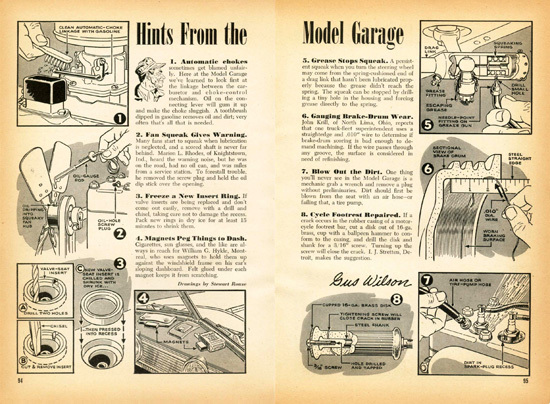 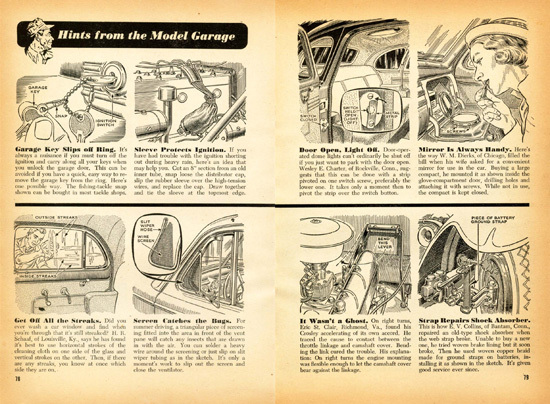 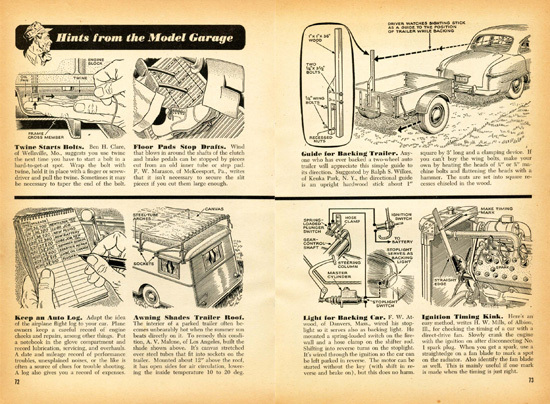 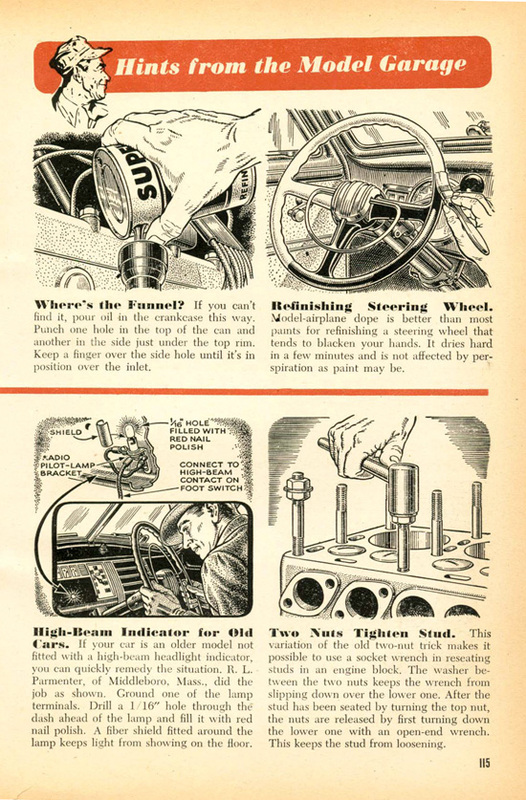 A companion feature to "The Model Garage" stories was the collection of "Helpful Hints for the Motorist" evolving into the "Hints from the Model Garage" which lasted almost until the end of the series, May of 1969. 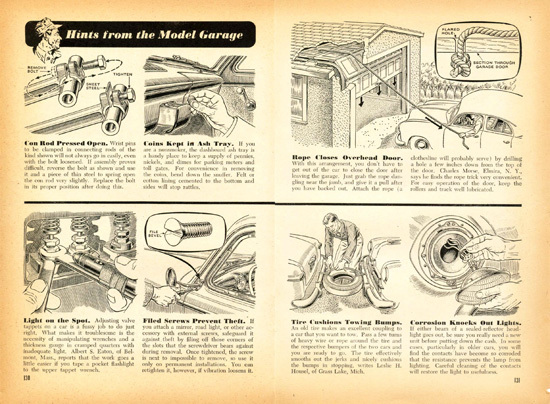 These innovative solutions to problems were submitted by ingenious readers and showed the type of solutions that Gus was known for. 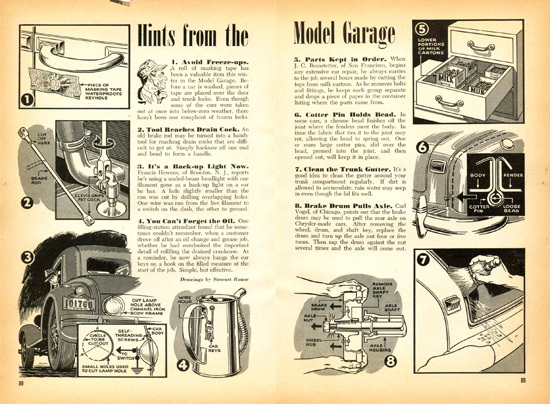 Some of the tips are a little iffy so caveat emptor. 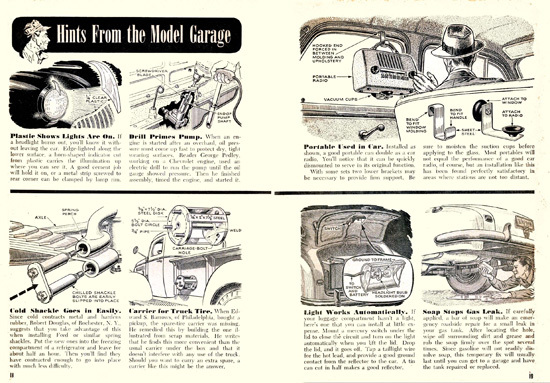 Links to the decades below (PDFs and corrected scans).